The Barholm Enterprise Centre was transformed by the joint efforts of the Creetown Initiative and the National Lottery Fund and has become home to a variety of businesses that could not have existed within the community before. The Arts and Crafts Co-operative features an assortment of art, jewellery, photographs and many other types of craft from local contributors. Perfect for cyclists, walkers, fishermen or those who generally enjoy the outdoors, Barholm Accommodation offers high quality en suite shared occupancy and private rooms. Up to 25 can be accommodated in 8 rooms. There is a ground floor room which is dog friendly. Facilities include a communal kitchenette with fridge/freezer, kettle, toaster and microwave. 32 inch Freeview TV available in the communal sitting room. Crockery and cutlery can be provided for your convenience. There is cycle hire on site as well as bicycle repair facilities, an electric car charging station, dry room and secure shed for storing bikes. The charity shop features shelves full of oddities and unique items. Freshly ground coffee and local produce can be found in the Creetown store, just up the road, daily. This accommodation is featured on our map of the Scottish Borders, Glasgow, Edinburgh and South Scotland and here is its own website. Take the turning for Cree Town from the A75 (Brown signs to Castle Cary Holiday Park). Follow this street (Park Crescent which becomes St Johns Street). Barholm accommodation is on the right. This accommodation allows dogs by arrangement, is by the sea, is available to individuals and is on the Hostels that welcome stag and hen parties map. 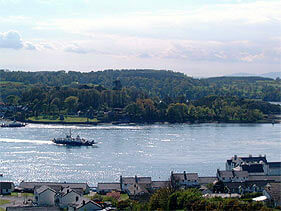 Special Offer for Easter Holdiays accommodation in Dumfries and Galloway. 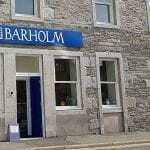 Barholm accommodation are offering beds for £15 per night in their 4 and 6 bed shared rooms. 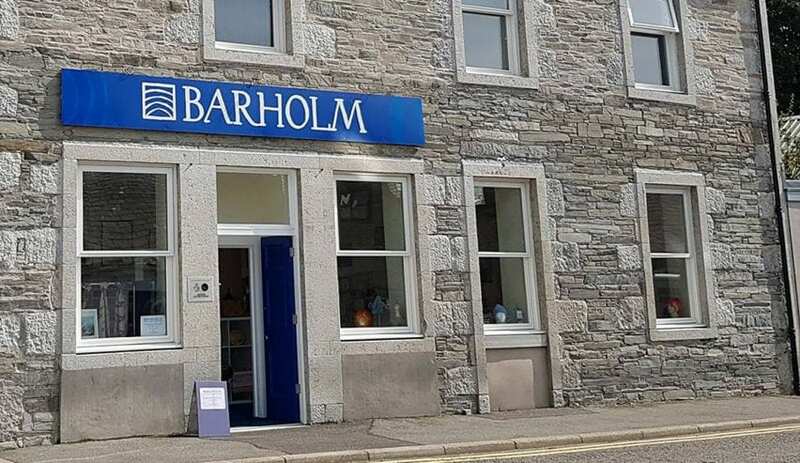 Barholm Accommodation overlooks Wigtown Bay in Creetown and is part of the Barholm Centre, which houses an Arts and Crafts shop as well as a cycle hire centre. With veiws out over the Cree estuary it is a fantastic base for walking or cycling trips around this area of Dumfries and Galloway. Room 1 Otters Holt sleeps 6 and can sleep 3 more on camp beds if more guests wish to stay together. Room 2 Badgers Den sleeps 6 – 2 bunks and 1 double bed Room 3 Dove Cote sleeps 4. The normal price for bed in these rooms would be £16.50 so the offer gives around 10% off. Special Offer for February half term accommodation in Dumfries and Galloway. 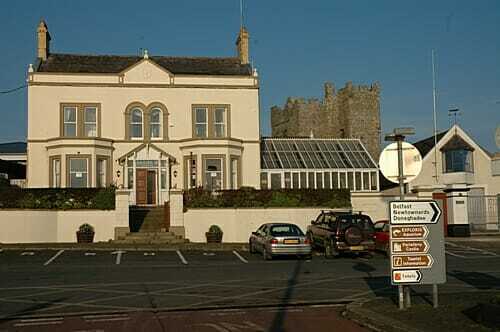 Barholm accommodation are offering beds for £15 per night in their 4 and 6 bed shared rooms. Barholm Accommodation overlooks Wigtown Bay in Creetown and is part of the Barholm Centre, which houses an Arts and Crafts shop as well as a cycle hire centre. With veiws out over the Cree estuary it is a fantastic base for walking or cycling trips around this area of Dumfries and Galloway. Room 1 Otters Holt sleeps 6 and can sleep 3 more on camp beds if more guests wish to stay together. Room 2 Badgers Den sleeps 6 – 2 bunks and 1 double bed Room 3 Dove Cote sleeps 4. The normal price for bed in these rooms would be £16.50 so the offer gives around 10% off. Take your dog to Barholm Accommodation. Barholm Accommodation is in a prime location for footpaths and with dog friendly space your furry friend wont miss out! Barholm Accommodation, being in a prime location for footpaths, offers dog friendly space so your furry friend won’t miss out! There is a wide range of footpaths from Creetown- from circular to coastal- you can enjoy stunning views and coastal breezes or experience the eerie solitude of brooding disused quarries.